Q. 4: Wasn't Archbishop Lefebvre suspended? This topic is In direct connection with the illegal suppression of the SSPX (cf. SSPX Q. 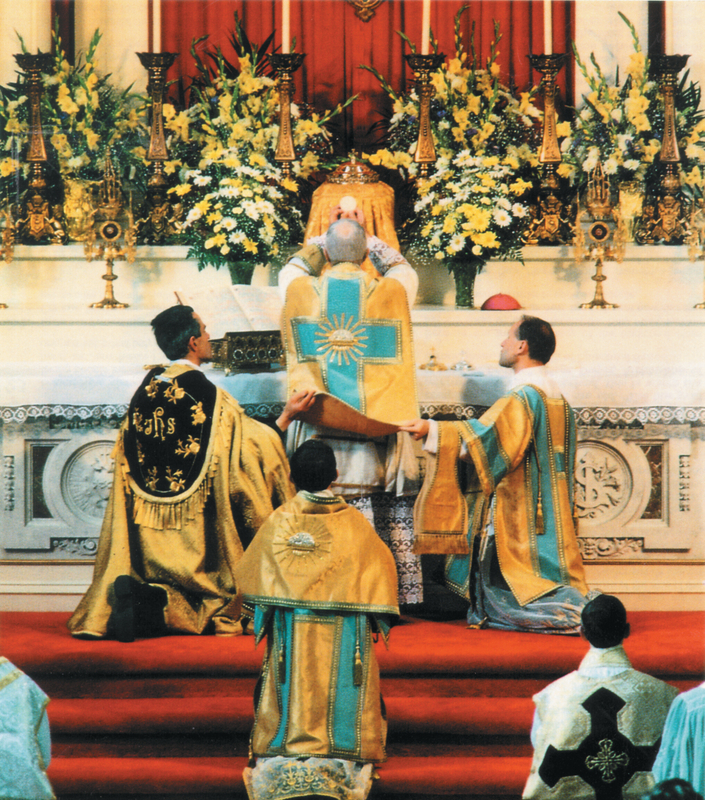 3 and A Short History of the SSPX). Following an apostolic visitation made at the Society's seminary in Econe on November 11, during which the apostolic visitors expressed scandalous opinions (e.g., married clergy, evolution of dogma, etc. ), Archbishop Lefebvre writes his famous Declaration declaring his adherence to Eternal Rome and rejecting the neo-Modernist Rome. The Archbishop meets with three cardinals, ostensibly to discuss the apostolic visitation, but which in fact, turns into a tribunal attacking and condemning his Declaration as “unacceptable on all points.” Unaware of what the true nature of these “trials” would be, he did not have a lawyer present, and though promised, never received even a copy of the recorded meetings. Meanwhile, Cardinal Villot, the Secretary of State, forces (under the threat of being dismissed) Cardinal Staffa, Prefect of the Supreme Apostolic Signature (the highest ecclesiastical tribunal) to refuse the Archbishop’s rightful canonical appeal for an ecclesiastical trial of his case. Cardinal Villot writes to the hierarchies of the world informing them to no longer incardinate* any priests from the SSPX, as it has been suppressed (cf. Michael Davies, Apologia Pro Marcel Lefebvre, vol. I, p. 136). *After Cardinal Wright wrote his letter of praise on February 18, 1971, giving Rome's permission to the foundation of the Society, the Archbishop wrote to the Congregation for the Clergy seeking permission to directly incardinate religious priests into the Society. This was granted and furthermore, Bishop Adam (of Sion, Switzerland) considering that the Society was of international status, generalized this procedure (cf. The Angelus, April 1987, p. 3 and Fideliter, no. 55, p. 3ff.). Archbishop Lefebvre goes ahead with the foreseen ordinations. 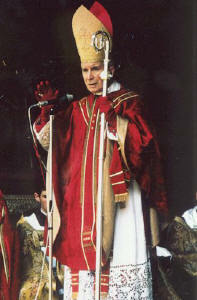 The illegal suspension of Archbishop Lefebvre and his newly ordained priests is declared. The Church, by approving the SSPX, approved also that it live, i.e., that it have all the ordinary means to lead its religious life and fulfill its aim. This is a fundamental consideration when taking into consideration the nullity of its suppression (question 3). Also, a brief examination into the legality of the actions (retracting the ability to incardinate members and the declared suspensions) taken against Archbishop Lefebvre and the Society will show that these proceedings were not canonical (i.e., not lawful), had no foundation which thereby made them unjust, and therefore had no validity whatsoever. Despite the canonical issues which were woven into the events, nevertheless, it was clear that the heart of the matter rested with the issue of the Mass. In the three weeks before the ordinations to be held on June 29, 1976, Archbishop Lefebvre was approached by Rome as many as six times with the request that he establish normal relations with the Vatican and that he give proof of this by saying a Mass according to the new rite. He was told that if the ordination Mass on the 29th would be with the Missal of Pope Paul VI, then all opposition would be smoothed over. This offer despite the recent illegal actions that had been taken by Cardinal Villot and Archbishop Benelli regarding the Society's right to incardinate! This offer was brought to the Archbishop on the vigil of the feast. One Novus Ordo Missae and all would be well. So, herein we see most clearly the one fundamental reason for the campaign against Archbishop Lefebvre and his Society: exclusive adhesion to the old Mass and refusal to say the new. If however there is a question of depriving innumerable souls of the graces they need for salvation, then no, one cannot. So, before such an unjust campaign of suppression, the Archbishop and his Society could only continue. and during negotiations in 2001-2002, held between Cardinal Castrillion-Hoyos of the Ecclesia Dei Commission (at the behest of the pope) with Bishop Fellay, Superior General of the Society et al.